There's plenty of Maui Wedding Planners. We offer different levels of service, pricing and amenities. The best place for a prospective couple to start is with a budget. 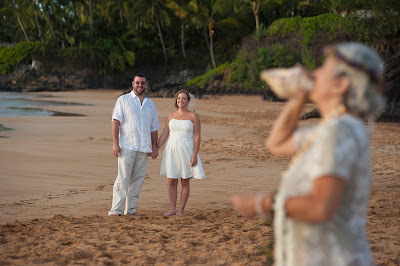 Beach weddings are the least expensive type of wedding to have on Maui and there are many beaches to choose from. 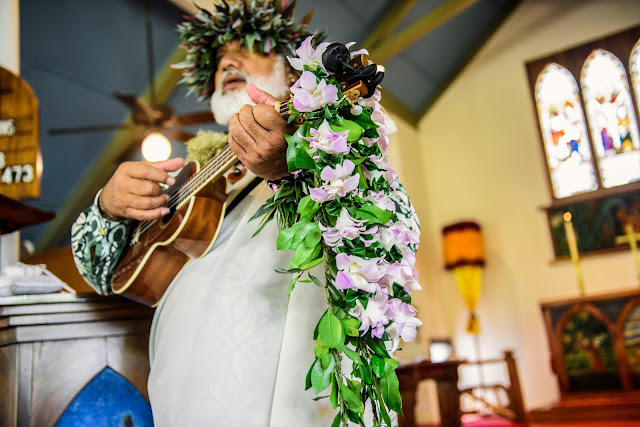 While Maui wedding planners are prohibited from using Kaanapali beach for ceremonies, there are many other locations that are just as beautiful and less crowded. We can never tell on any given day how crowded a beach will be but you can use some guidelines to help determine that. Weekends and holidays on Maui like any other place, are always busier so we try to schedule weekday weddings for the beach. The hour before sunset is also a good time to schedule a Maui beach wedding as most folks are getting ready to go back to their hotels for dinner at that time and beaches tend to clear out. We also try to book the ceremony on the larger beaches so that we have room to move since it is illegal to ask beach-goers to move for our weddings. The next question is how much and what type of photography you are after. There's many levels of service here: photographers who do everything themselves with on camera flash up to professionals who utilize a photographer's assistant and off camera remote control strobes. The pricing changes depending on the level of service you are after. Some Maui photographers will do a full edit, retouching every image in photoshop while others will hand you the flash card at the end of the wedding. Unless you are an expert in photo editing it is probably best to find a photographer who does a full custom edit. Our in house photographer, Joe D'Alessandro utilizes off camera remote strobes, reflectors and diffusers operated by an assistant and fully retouches each image in your wedding package. You also receive the reproduction rights. 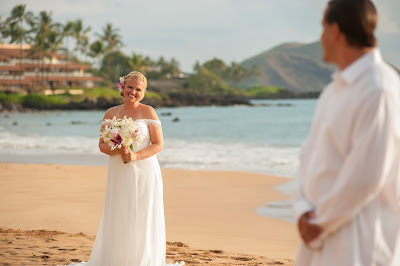 For reasonably priced wedding packages and fully retouched digital images along with full reproduction rights, Marry me Maui Wedding Planners offers many options for wedding couples and gay friendly civil unions. We can arrange for semi private venues, where we can have chairs and arches or less formal beach ceremonies with toes in the sand. All of our pricing is on the website and there are no surprises or hidden fees. For a free no obligation consultation for your Maui Wedding, give Marry me Maui a call at 1.808.242.1100 or drop us an email. We look forward to hearing from you!